How to travel alone while enjoying and learning from the experience? Modern standard Hindi, effectively the sixth most widely spoken language in the world has a popular proverb associated with it, “Shaadi Ka Ladoo, jo khaye woh pachtaye… jo na khaye woh bhi pachtaye…“. Translated to English it reads as “The Fruit of marriage, the one who eats it shall suffer, the one who doesn’t eat it shall also suffer“. This saying, which is more popular among males is essentially a debate which aims to determine the better state of an individual in society between the choices of a) being married and b) staying single. Perhaps the biggest benefit of being married to a person who complements you well is that it gives you a “life partner“. An individual who provides one with a purpose to live, to toil hard, to succeed, to share your thoughts with and in some lucky cases offers you the support to realize your dreams and desires. On the flip side, having a permanent life companion also means loss of freedom, less flexibility in making decisions, the expectation to adhere to the standard unwritten rules of the institution of marriage and making compromises more often. Staying single, on the other hand, offers none of the drawbacks of being married. It does, however, require one to deal with the absence of the benefits of being attached to someone. These two states are thus perfect complements of one another. Staying single or in an unmarried state though is becoming more acceptable today than it ever was before. Part of the reason for the same is that the generation born in the mid-1980s is facing the impact of a hostile global economic climate thereby delaying their plans of settling down. With unemployment, under-employment and work dissatisfaction at an all-time high for people under the age of 35, there has been a surge in the population of KIPPERS. Coupled with the increase in the pervasiveness of broadband internet, social media and smartphones, the youth of today find it extremely simple to stay connected with the people they want while living the lifestyle they desire. Still, the rules of community living today have been defined by our ancestors and it will easily take more than half a century for them to change and be replaced by new standards of acceptability. Communal living today lays tremendous importance on getting married as the belief is that one can’t spend their whole life by themselves. Even if one doesn’t believe in the idea of marriage it is true that simple things like having a meal in a restaurant, watching a movie in a cinema hall and experiencing the joy of travel are hard to do alone. Choosing the option of staying single makes having these simple pleasures harder to enjoy, particularly the latter -Travel. Travel is important because it fundamentally transforms us. By taking a break from your daily life, unplugging from the pulls and pushes of technology and engaging in new activities in new places, it is easier to release unwanted habits. Also, it is empowering to surround yourself with people who don’t know the encyclopedia of your past. It reinforces your willingness to broaden your horizons, to get unstuck and to move in new directions. Choosing to travel alone for pleasure, however, is not very common since it considered unsafe to do so. It’s true that in the past traveling alone was considered to be hard, inconvenient and fraught with risks. But all of that is changing as more and more people seek to travel alone thereby forcing participants of the travel economy to cater to the growing demand. Travel alone is difficult mainly because very few people do it. One is considered to be indulgent and self-centered if they choose to undertake activities that are expensive and time consuming only for themselves. This is the view that exists among people however the truth is that only after one is content with themselves can they make other people happy. “Love yourself first and then everything else will fall in line”, so goes the famous quote. Single travel is part of the experience to make oneself happy. It allows time for introspection, self-discovery, relaxation and being in continuous meditation. Exploring new places, experiencing unknown cultures, meeting people from different nations play an important role in expanding our awareness. Truly, a well-traveled person is able to process the same information in different ways as his mind is free from the “one right way” mentality that plagues others. Before planning to undertake a trip which shall require you to travel alone, it’s important to know more about what you can expect from the journey. Let’s explore some travel alone destinations, detail tips for staying safe and making the most of your trip and mention other useful resources dedicated to travel alone endeavors. The kind of experience that has been referred to here which shall allow for a good mix of alone time and meeting new people is likely to be found on nature and adventure getaways. The challenge is to find an adventure that not only fits your budget but that also attracts the kinds of people with whom you want to share a tent or a scuba tank. Luxury travel firm Abercrombie & Kent offers group tours for travelers with deeper pockets than most, like a 14-day Kenya and Tanzania wildlife discovery tour. Popular adventure programs include trips to Mount Kilimanjaro, the GalÃ¡pagos and a holiday cruise to Antarctica, on which about 10 percent of passengers travel alone. In case you don’t have thousands of dollars to spare for a vacation and are under the age of 35 then don’t sweat, firms like REI and Contiki exist for people like you. They have a range of tours for people under 35 which involves a healthy mix of exploration, partying and getting to know one another. Those who resolve to get in shape soon have plenty of options to choose from a variety of health resorts spread across the globe. Escape To Shape is a traveling fitness spa which offers vacations combining luxury, culture, and fitness at unique locations around the world. In St. Lucia, at the BodyHoliday, there’s little chance of returning home with extra pounds, thanks to Sunset Zumba and cycling in a new treetop Spinning studio. Travel alone vacations have some great benefits such as the ability to own your time and budget, experiencing serendipity, customizing your travel based on your liking etc. They also come with quite a few disadvantages such as having nobody to watch your back, higher room costs and lack of social obligations. To make the most of your travel its important to cope well and stay safe by keeping certain important tips in mind. Cope well by staying at places that are rated well on sites like TripAdvisor. Try and select places like hostels where it is easier to meet like-minded travelers or if you are looking for something quieter then select a nice place through Airbnb. Take as many tours as possible if you are not on a planned trip. Walking tours, wine tours, cycling tours are all great ways to explore the place you are at while being in a safe environment. If you are in a place where you don’t speak the first language, then try to learn at least 10 commonly spoken phrases. It’s a great way to befriend locals who can really help to make your trip pleasant. Finally, an off-beat tip is that its very handy to have a pack of cigarettes with you at all times, even if you don’t smoke. It’s not uncommon for a stranger in a social place to walk up and ask for a cigarette. Having one on you can lead you to discover a group of people whose company you might enjoy. Finally, try to stay safe by arriving at new places in daylight. Always, keep a spare stash of cash and other important things so that you aren’t left without any money in case something unfortunate happens. Pay attention to your instincts. You will be amazed to discover that the more you travel alone the stronger your intuition and sixth sense becomes if you listen to it. Finally, be careful with drugs and alcohol. Even while at a bar or pub, stay within your limits if you are alone. No matter how great the city you are in, it’s unlikely that a stranger will bother to drop you home if you are in a hopeless state. 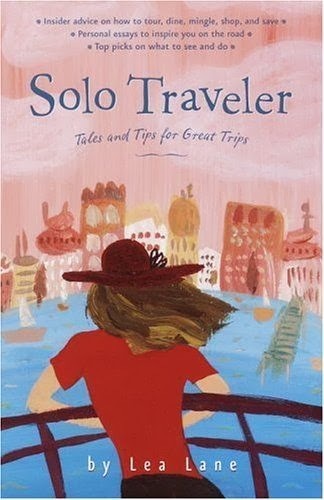 In case you are eager to learn more about travel alone adventures then the New York Times, Wikitravel, The Solo Traveler Blog and Ask Men have some great articles on this topic. We would love to hear from people who have traveled alone for pleasure and exploration. Do share your experience or any tips which you may have on traveling alone by leaving a comment.